Mitchell J. Ansell is a partner with the Firm and Chairman of the Criminal Defense Department. Mr. Ansell devotes his practice in the areas of criminal defense, municipal court defense and municipal law. He earned his B.A. from Syracuse University and his J.D. from The Dickinson School of Law. 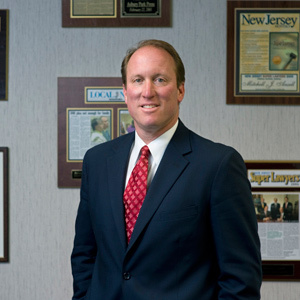 From 2006-2007, Mr. Ansell was President of the Monmouth County Bar Association, and served as Trustee from 1991-2000. He was also a member of the District IX Ethics Committee from 1996-1999. He has lectured in the fields of criminal defense and municipal court defense and between 1990-2000 served as a Municipal Court Prosecutor for the Borough of Sea Bright, Township of Colts Neck, Township of Manalapan, Borough of Keyport, as well as served as Borough Attorney for the Borough of Englishtown and Public Defender for the Township of Manalapan.